We were recently asked to comment on some concerns raised by local residents regarding the West End Skatepark proposal. 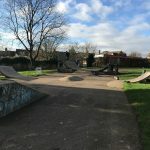 We have received a request from a local skateboarder to comment on your recent article about the proposed skatepark in West End’s Rosewood Way green. 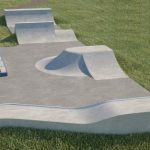 The Skateparks Project offers free impartial advice to anyone looking to build local skatepark facilities. I have worked on projects across the country in this capacity and the concerns raised in your article are not uncommon. I would therefore like to take this opportunity to address them. Skateparks are among the most requested leisure facilities. They have the potential to enhance communities, particularly when requested by local skaters and riders, as is the case here. 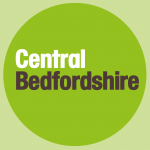 Noise and antisocial behaviour concerns are common. However, in my experience, skateparks tend to reduce antisocial behaviour when their existence fills a demand for social facilities. It is also often the case that those engaging in antisocial behaviour at skateparks are not skaters or riders, and would engage in antisocial behaviour regardless. Noise is very much dependent on how the skatepark has been constructed. Metal skateparks are particularly noisy, whilst concrete skateparks, as is proposed in this case, are much quieter. However, if noise is a concern, further measures can be taken. For example, planting trees and building banks around skateparks can diffuse noise. Acoustic fencing can also be a visually pleasing means of directing and diffusing sound. Given that the nearest residential properties are either across a road from the proposed skatepark location, or obscured by trees, I would not have thought that noise would be an issue. Likewise, there are numerous skateparks across the country within similar distances from bowling greens. I’ve never heard of a case where a skatepark has devalued house prices. I can however appreciate why a local resident would not want a skatepark directly outside their property, but this does not appear to be the case here based on the proposed location of the skatepark. 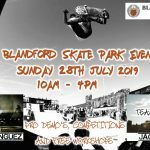 Having not had the pleasure of visiting the area, my comments are limited to address the concerns of skateparks in general, and not the viability of the proposed location of this specific skatepark. However, at the time of sending this letter, I have also reached out to West End Parish Council offering my assistance should they require it.